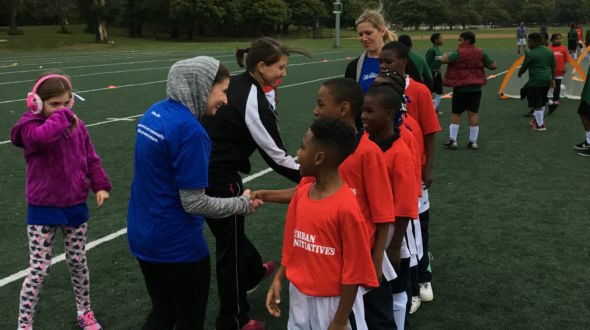 It had been cold and rainy all day, but the gloomy weather did not deter the dedicated group of volunteers from William Blair that came to Garfield Park to serve as assistant coaches to Urban Initiatives’ participants on their first game day of the year. 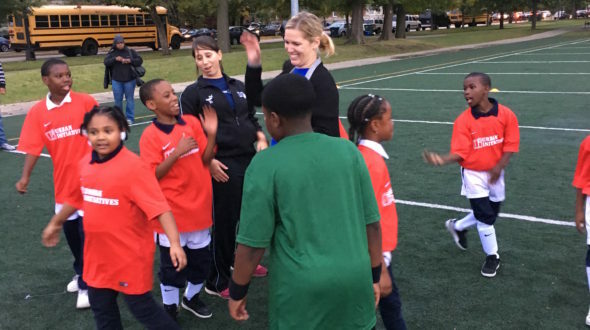 Students in UI’s Work to Play and Take the Lead programs at Beidler Elementary and Faraday Elementary, both in in East Garfield Park, and Howe School of Excellence in Austin gathered to play in small, friendly scrimmages. 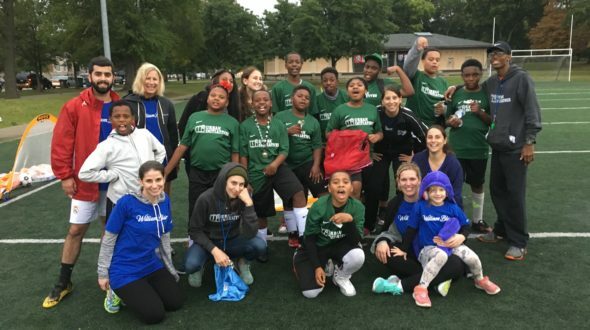 The students had so much fun meeting kids from other schools and neighborhoods, and some of their parents watched from the sidelines, cheering their young student-athletes on. The William Blair volunteers wore many different hats, ranging from coach to cheerleader to referee, coaching their players on the proper form for a throw-in or applauding their team when players successfully completed a series of passes to move the ball up the field. Many of our participants were brand-new to Urban Initiatives’ programming this year, so this was their very first field trip to meet and play with kids that they wouldn’t usually interact with. A huge thank you to the group from William Blair for joining our students for such a special experience!